Hall of Fame jockeys and TVG talent will team up Sunday, April 7 as they host the second annual telethon to raise money for the Permanently Disabled Jockeys Fund (PDJF) live on TVG, America’s Horse Racing Network. Last year was a great success with nearly $230,000 raised. Once again superstar guest jockeys of today and yesterday will be waiting at the other end of the line from 12pm to 7pm ET. Racing fans and industry stakeholders are invited to call, chat and contribute @ 1-844-TVG-PDJF. Jockey Mike Smith will be joined by riding legends Pat Day, Laffit Pincay, Jr., Steve Cauthen, Chris McCarron, Sandy Hawley, Ramon Dominguez, Alex Solis and Quarter Horse legend, G. R. Carter. Also on the call will be leading jockeys riding at Keeneland and Santa Anita that day. 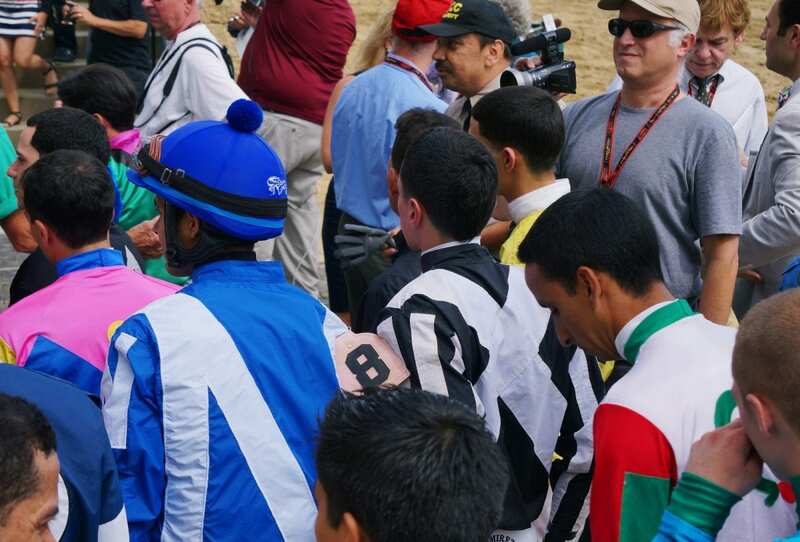 Throughout the day, TVG will be connecting with personalities and horsemen who have been involved with the PDJF’s great work in support of jockeys who have suffered catastrophic on-track career-ending injuries. Fans are encouraged to donate by calling 1-844-TVG-PDJF or at the website. The PDJF is a registered 501c3 charity that provides financial assistance to former jockeys who have suffered on-track injuries. Since its foundation in 2006, PDJF has disbursed nearly $10 million to support disabled jockeys, the organization is 100% reliant on charitable donations. “We appreciate the support of TVG and are excited to help raise funds for the PDJF through the telethon. Many jockeys will take part in the telethon by answering the phones when fans call in to make a donation. The PDJF has no dedicated funding from the industry so this telethon will help in providing the monthly monetary assistance to these riders whose lives have been forever changed,” said Jockeys’ Guild President and CEO, Terry Meyocks.